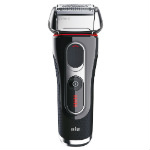 The market now days are filled up with plethora of shavers and trimmers that challenge each other features wise. 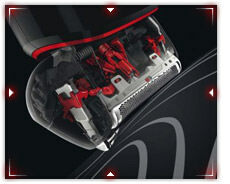 But when it comes to Braun Series 5 we have come across some major improvements in the shavers that mean business. Do not be fooled by the smooth outlook as the machine inside this little monster has got what it takes to make this shaver the crown jewel of all shavers out there. 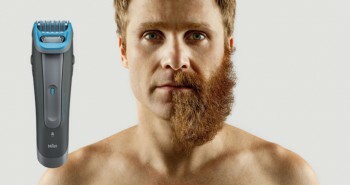 There is no beard that is impossible for this machine to trim and shave not even the hardest and the trickiest beards. 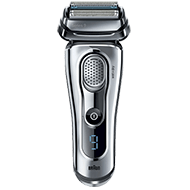 It may look sleek with its modern texture and metallic outlook but it does not mean that this shaver is all about its looks. 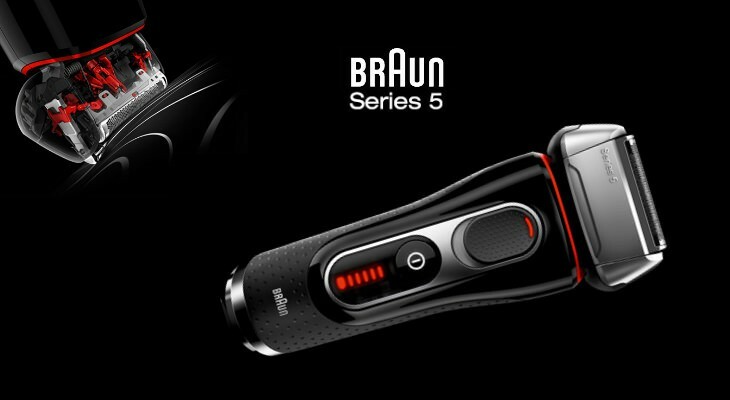 The Braun series 5 had some technical improvements that gave them an edge over other shavers but this particular model is packed with plenty of new features under its hood. This machine is most sorts after for its performance standards and greatly improved precision which means better performance with precision accompanied. 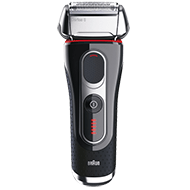 Skin comfort is the aspect that people at Braun have seriously attended to and that is why this Braun 5090cc has the smoothest skin contact. It goes easiest on the skin while being keen about not missing even a single hair. 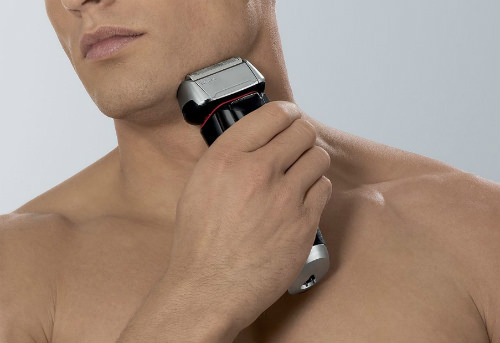 The new in town flexmotiontec is on board this shaver which gives it three times more contact with the skin and hence improving the shaving capabilities in not only ordinary region but also in tough spots like the edges of chin and the area under the nose. 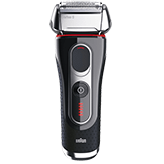 It also has the added benefit of adjusting the pressure point for the shaving head which adapts itself according to the surface that it is on. So, no matter which surface of the skin and which area is being shaved the appropriate amount of pressure is adjusted by the machine itself. The motor installed on board is powered by a cutting edge power drive which has the capability to deliver up to twenty percent more power to the main motor hence enhancing its cutting power. The Li-ion battery has a fast charge mechanism that lets it to shave for a complete run after even one minute of charging and to a total of forty five minutes of continuous shaving after one hour of charging. 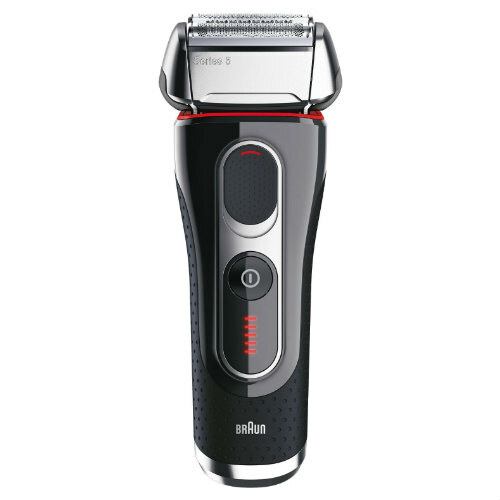 Just like all other Braun appliances this shaver is also an amalgam of craftsmanship of Germany and the expertise of Braun industries. 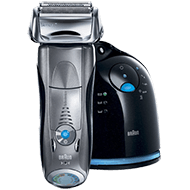 Similar to that, the extensive lab testing done on these shavers just like all other appliances makes sure that these comply to the highest standards of manufacturing and are capable to deliver in all scenarios. 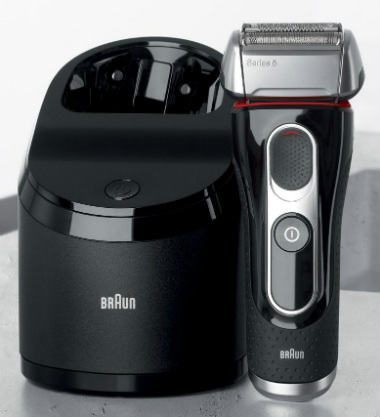 These shavers come with the state of art and the one of its kind clean and charge station developed by the Braun industries. This station works in four steps. 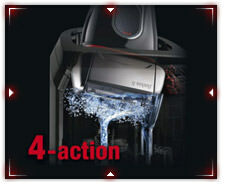 First step cleans the shaver head with alcohol based chemicals to make sure that most of the germs are killed. 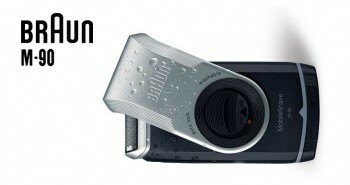 The second step then charges the drained battery swiftly while the third step is responsible for lubricating all the moving parts of the shaver for continued performance and in the last but not least all these services are available at the touch of a button hence making the whole process easy. 1. Lubricates for longer lasting cutting efficiency. 2. More hygienically than water. More comfortable on skin.